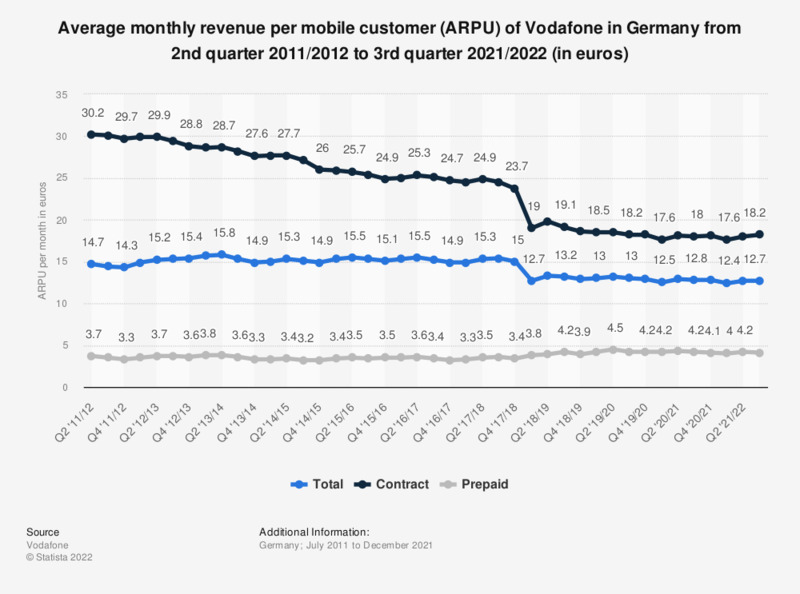 This statistic depicts the ARPU of Vodafone in the mobile communications segment in Germany from the second quarter of 2011/2012 to the first quarter of 2018/2019. In the first quarter of 2012/2013 (April to June 2012), Vodafone generated a total average revenue of roughly 14.9 euros per customer per month. By the first quarter of 2018/2019 this figure had increased to 15.4 euros per customer. The abbreviation ARPU refers to Average Revenue per User/Unit. Financial year ends in March.